After the corn had soaked in the lye and each grain cracked, there were several rinsings required in clear water to release hulls and remove lye residue. The lyed corn is then cooked with a little salt and a lot of water for three to four hours in a pot. 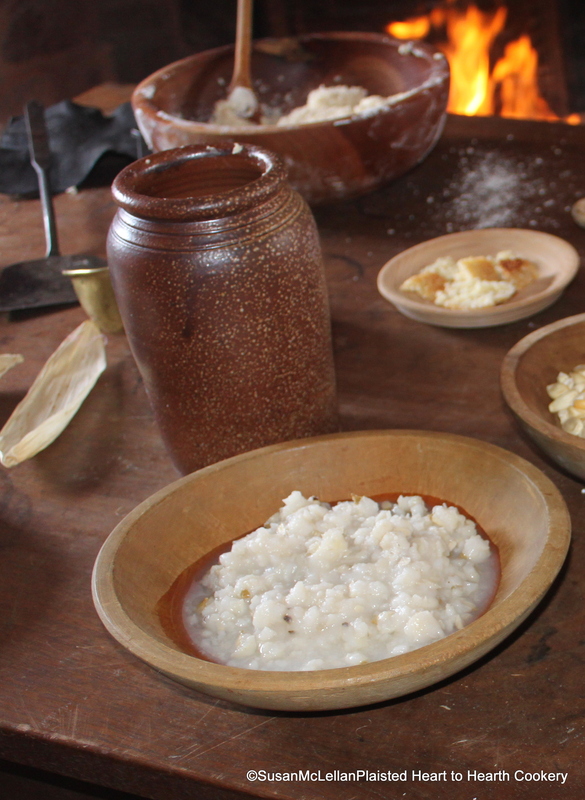 “It is a very nice dish served up hot out of the boiling kettle taken with butter or eaten with milk like mush.” But it was advised to store most of the cooked hominy in a stone vessel to fry or bake later.